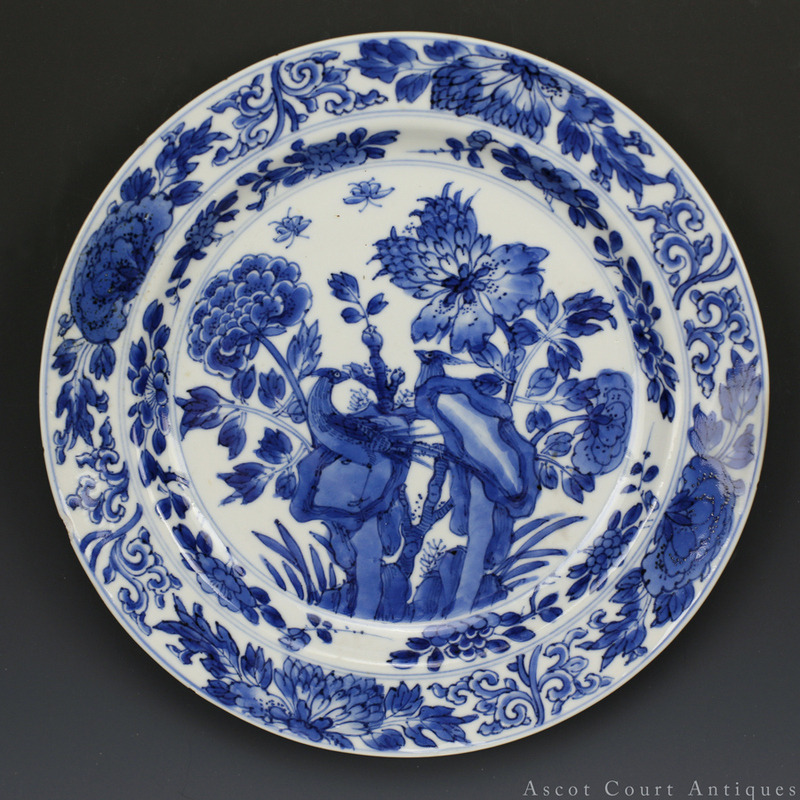 A striking Kangxi blue and white plate, decorated with well-painted twin pheasants perching against rockwork, all amongst a landscape infused with floral scrolls, sprigs, and sprays. The reverse is marked with an archaistic ding vessel within double circles. 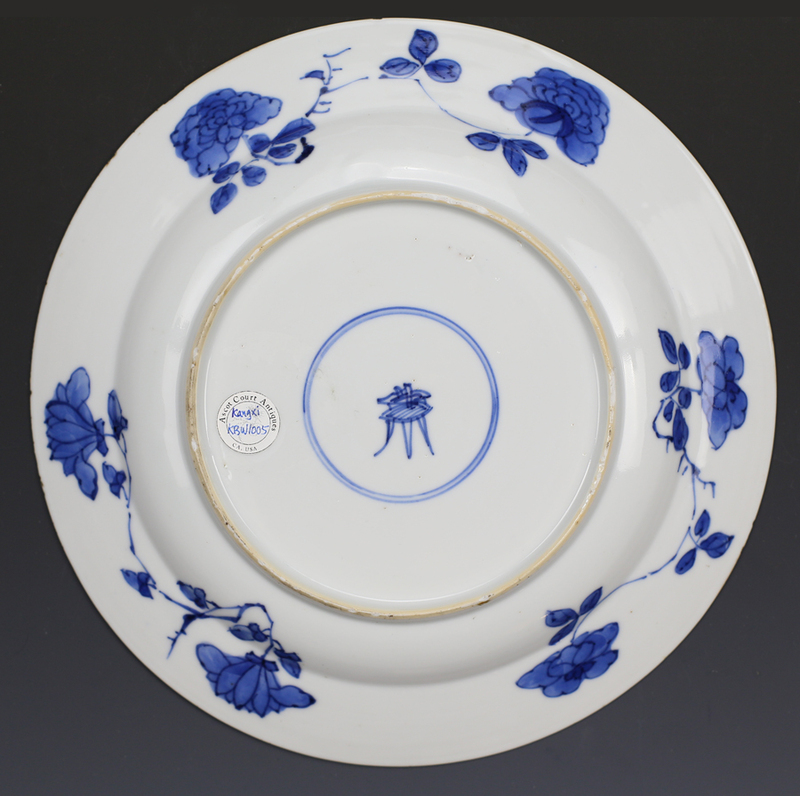 The underglaze blue of this plate is especially intense and vibrant, and can be categorized as a “baoshi lan” blue (a class of valued blue and whites made only during the mid – Kangxi period). For Jingdezhen potters, obtaining the right kind of cobalt ore for blue and white porcelain was, historically, a continuous source of headache. Cobalt used before the Kangxi period tend to be brilliant and intense if imported (e.g. Yuan, Yongle, Xuande, Jiajing), and pale or gray if native (e.g. Ming interregnum, Chenghua, Tianqi). 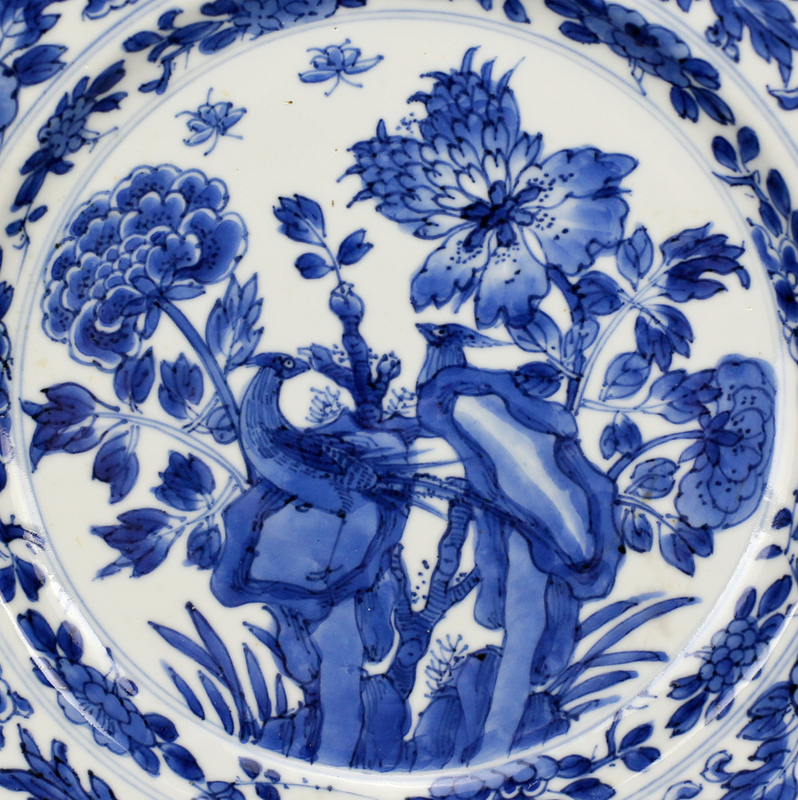 Kangxi blue and whites like this plate are remarkable for being some of the first wares painted in native cobalt to express such intensity of coloring. 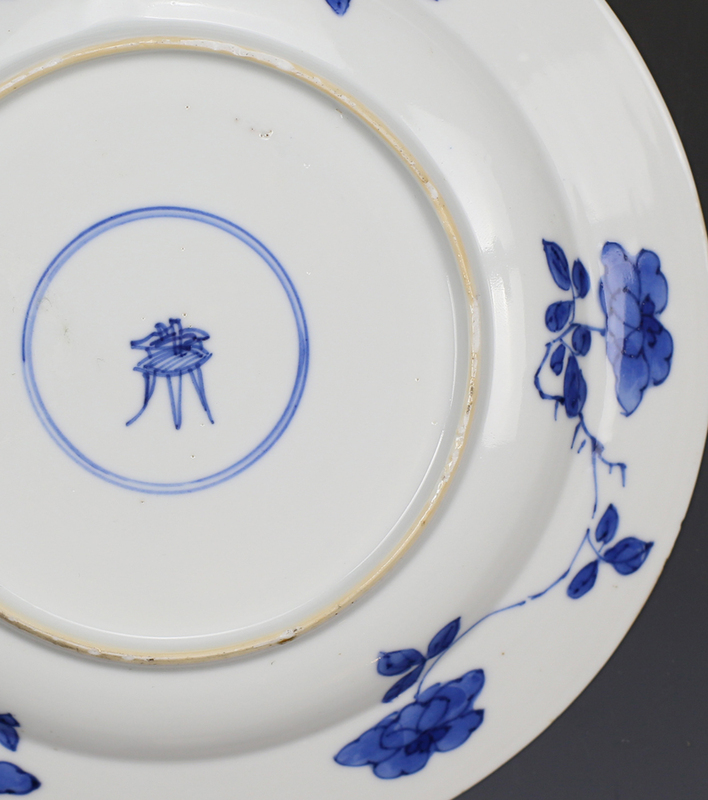 At times dubbed “baoshi lan” or “Sapphire blue” by scholars, the best mid – Kangxi blue and white were painted with ore newly discovered and mined in Yunnan province. These pieces are treasured for their crisp, deep underglaze blue. And unlike the Sumali blue found in 14-15th century pieces, Yunnan blue could be easily ground and controlled to create up to five shades of gradient blue.